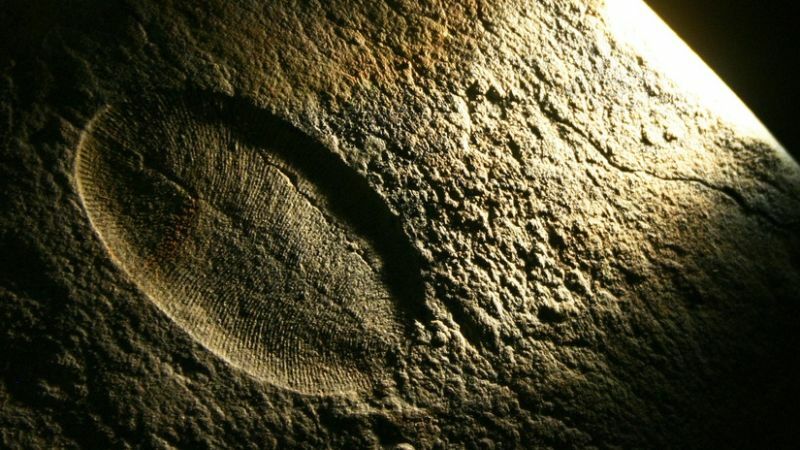 Unlike the Earth’s "Big Five" great mass extinctions, scientists now think the first mass extinction, during the Ediacaran Period, may be like the “Sixth Extinction” happening today. Evolution was the culprit of the first extinction, they conclude. The earlier seafloor creatures disappeared because new neighbors moved in and ruined their habitat. Many mass extinctions, including all of the Big Five, are generally blamed on global catastrophes of one sort or another: great volcanic eruptions, oceanic stagnations or cosmic impacts. In those cases we have physical evidence of those causes besides the fossils themselves. But many others are simply mysterious. Fossil records only show that one set of organisms suddenly gave way to a new and different set. And for the first mass extinction, about 542 million years ago at the beginning of the Cambrian Period, fossils are all we have. The earliest fossils representing most modern animal groups -- mollusks, arthropods, jellyfish and so on -- appear in rocks from near the beginning of the Cambrian Period. For many years researchers knew of no older fossils. But within the last few decades they've discovered rare fossils of strange, soft-bodied organisms known as the Ediacaran (rhymes with "saccharine") biota. The arrival of Cambrian species must have meant a wave of death for the Ediacarans, which left no descendants as far as we can tell. We don't know whether the Ediacaran creatures were animals, plants, giant one-celled organisms, something like fungi or entirely different forms of life that no longer exist on Earth. They seem to have been soft things that waved fronds in the water or sat on the seafloor, absorbing nutrients passively. Still, they were the earliest complex, multicelled living things we know of. The case of the vanishing Ediacarans has inspired a range of extinction hypotheses. One tempting explanation, called "biotic replacement," is straight out of Darwin: the new organisms just out-competed the old ones, like gladiators over lions, in the evolutionary struggle for existence. It's tempting because the early Cambrian species were equipped with hard parts -- shells outside or skeletons inside -- that surely gave them advantages over the wispy Ediacarans. But nailing down the Darwinian case, for this or any other mass extinction, has been hard because the evidence is so slim. That's where the new paper, in the journal Proceedings of the Royal Society B, advances the conversation. 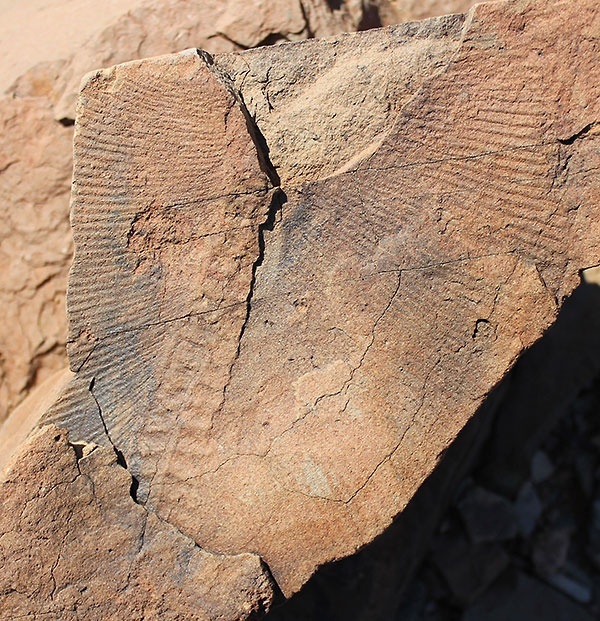 A U.S.-Canadian team of 11 authors led by Simon Darroch, of Vanderbilt University, intensively studied fossil beds in southern Namibia that date from the last million years or so of the Ediacaran Period. 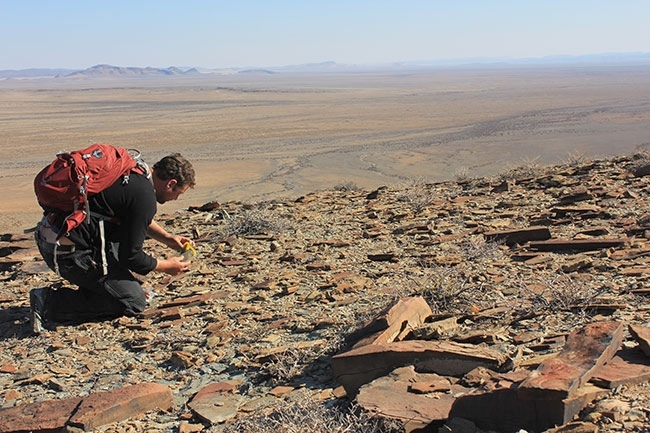 Darroch's team set out to compare the fossil community at the Namibian locality to those at other, older Ediacaran sites. They found the diversity of species was significantly higher at older deposits in Russia, Newfoundland and Australia, which suggested that Ediacaran species were gradually losing ground in the days before their extinction. They analyzed the sediments preserved along with the fossils and found nothing chemically or physically hostile to life, just signs of a quiet, shallow seafloor with a steady supply of oxygen. There was nothing that would have dissolved fossils away. They searched a large area for fossils and were confident that few if any species remained undiscovered. But the rocks also have evidence that new species of animals with hard shells, the so-called small shelly fauna that dominated the earliest Cambrian seas, were digging up the seafloor -- something Ediacarans could not do. The new species were making burrows and living in them, for the first time in Earth's history. Darroch refers to them as "ecosystem engineers." Darroch suggests that the Ediacarans "were slowly marginalized by newly evolving members of the Cambrian evolutionary fauna, which would have competed for resources," mixing up the seafloor sediment and disturbing the Ediacaran lifestyle. Darroch concludes in the paper that "the first mass extinction of complex life may have been largely biologically mediated -- ultimately caused by a combination of evolutionary innovation, ecosystem engineering and biological interactions -- making this event unique" compared to the "Big Five." But maybe it's not unique, just the first example. One could argue the wave of extinctions going on today is caused by the same threefold combination, with the Anthropocene naked ape in the role of the Cambrian small shelly fauna. The evolutionary innovation stems from our large brains and opposable thumbs. The ecosystem engineering is everything we do from building dams to planting crops. And the biological interactions we have with other species are conflicts that we usually win.